Have a guy who loves animals in your life? Perhaps your husband, dad or brother? Need a great gift idea for your dog lover, cat lover, or all around animal lover? If you are looking for cool stuff to buy for the men n your life, take a look at all the fun, unique, funny, unusual and useful stuff that our team of writers has found for you. Click here to see ALL of our great finds for Animal Lovers. Rilakkuma Honey Condoms by Okamoto feature colorful box and wrapper art that's so cute, giftees might think they've been presented with a box of delicious sweet treats. The new year is nearly here and it's time to start thinking calendars. 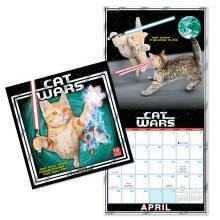 Cat lovers who are also Star Wars fans are in luck. The 2019 Cat Wars Calendar is here and is wonderfully cute! 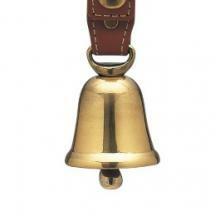 The Magic Bear Bell gives hikers a hands-free way to alert bears to their presence on the trail and reduces the chance of a surprise encounter. This disturbingly realistic fish head case carries your coins, keys, earbuds and/or other small personal possessions while sporting a distinct design no one would EVER want to steal. Let's face it, you are the superhero in your own movie, even if it doesn't feel like it sometimes. This winter, when you come home from a long day's work you can don a pair of these cool Batman Sock Slippers and pretend that Alfred is bringing you a spot of cocoa.